Tom Hardy, Negosentro.com | Today, Facebook is a distinct platform where anyone can place ads for promotion. It provides worthy tricks you can use for targeting a variety of ad formats and objectives. Due to its powerful existence in the market, Facebook is growing fast and provide businesses an outstanding platform to proceed with. Going through the actual stats, there are around 3 million advertisers using Facebook to increase conversions for their promoted products. And now, the platform is picking up the momentum with a drastic 50% increase in the number of business advertisers. This was about those who are utilizing Facebook as their ad promoter. But, what about the entrepreneurs who have never used it for business promotion? For them, the learning curve can be quite difficult because it is a process of diving deep to gain optimum advertising know-how. Many business owners can’t afford to outsource digital marketing services for their brand and hence try various branding strategies in the hope that they’ll find something which is worth for attaining a strong customer base. Thankfully, there are various strategies that you can implement for free to optimize your Facebook ads. Every business entrepreneur has an idea of its audience range. Plan a strategy where your sales objectives are defined with the target audience. In the list, some may be the big fans of your brand and others may not even know you. Here, your objective should be to target each individual and converse them about your promoted product. Facebook makes this task easier as it allows marketers to create an audience base where they can target them with the most relevant ads. 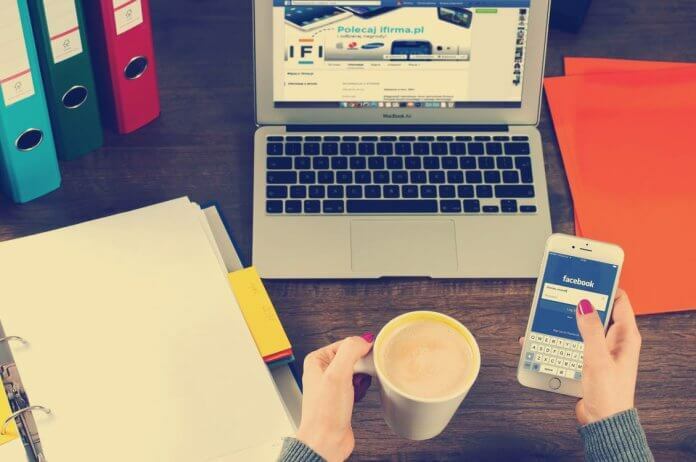 Most of the times, business owners get busy in other things and fail to focus on every opportunity they can use to convince shoppers through Facebook ads. These opportunities can represent new product launch, additional service addition and discount deals. It is up to you how you want to grab users’ attention through exciting Facebook ads. At times, you can also customize your ads as per current or trending ad requirements. But make sure, not to publish the same advertisement on Facebook as it may irritate users. Your Facebook page characterize your official business page hence it is essential to keep things similar in both the pages. The thing you need to remember is that ads should deliver a consistent & clear message which further can become the best source of increased conversions. People love to explore the website when they get redirected from the Facebook ads to the link they are exactly looking for. Therefore, it is mandatory to keep things uncluttered in both the ads and landing page. It is easy to make a copy of other ads trending on Facebook. Creativity is in designing your own add which is unique from all others running over the web. After seeing the creative ads on their walls people start imagining about the reputation of a brand which compels them to explore the website for more. If you use the same ad concept again and again, users will subconsciously start ignoring you which is a bad impact on your overall business reputation. So, be different and do different to attract quality customers to your page. If you use much text in your ad, it will confuse the users and they will not get a clear message. Instead of filling the ad area with much text, try using a crisp message describing the objective of your Facebook ad. Along with text, you can also include a relevant image which is highly compressed and provides an appropriate message to the visitors. This Facebook ad optimization method will prove to be the better encouragement for your brand. Sometimes, it’s not necessary to write everything on Facebook wall to promote your brand. You can do it in another brilliant way. Attaching deals and discount offers with your existing ads will improve conversions to a great extent. When people explore the ads, they also find the attached offer with it. This find it interesting to explore further. It increases the click-through rates and opens the doors for better conversion results. Go ahead with the above-mentioned ad optimization techniques and use them with your Facebook ad campaigns to get drastic conversion outcomes. The tricks are simple to implement and get your business more sale leads. It is sure that you will get favorable results with the tactics and that too within a short time span. Tom Hardy is a digital marketing expert and Facebook ad strategist at Sparx IT Solutions: Facebook Marketing Company. Through his absolute guidance and marketing insights, he helps business get excellent profit results. He also likes writing informative blogs where he puts proven facts that assist business in several manners.